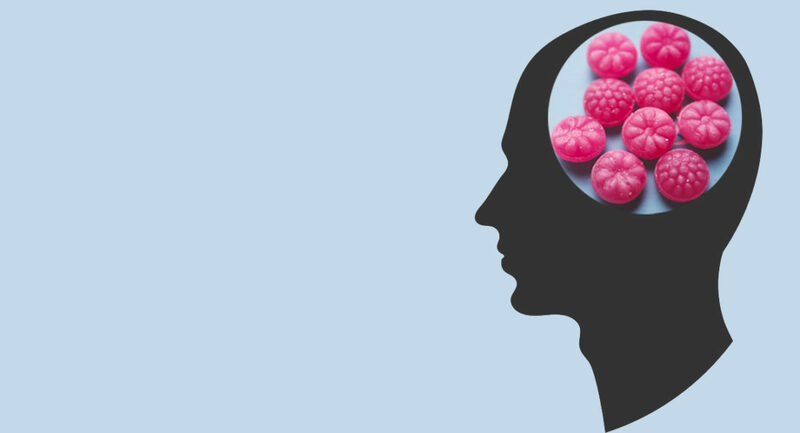 Unfortunately we can’t trick the brain when it comes to calories. While the rest of the body relies on glucose and fat as an energy source, the brain gets its energy boost from glucose alone. This doesn’t mean we can stuff ourselves full of sugar because we can get all we need from vegetables and fruit. But it does mean that when we get a whiff of sugar from a bakery snack our brain goes crazy for it and craves more and more! Our clever brains know exactly how much energy a certain food has. The sweetness reference centre can work out how many kilocalories of energy it will get from what we are eating. 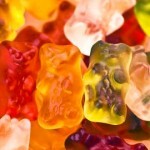 The sweeter a substance is, the more calories the brain expects. The problem is that when it comes to artificial sweeteners they can taste even sweeter than sugar and yet do not have the calories to match. The brain then sends signals to the rest of the body to drive up appetite so that it can get its energy fix. The end result is that the neurostimulatory effect of artificial sweeteners can cause cravings and even addiction. When we are very young, we develop the ability to postpone the necessity of direct reward. Of course as babies, our needs have to be met immediately or else all hell breaks loose. But slowly as time goes on our brain development allows us to accept that perhaps it might take a little longer before we get fed! This is known as the ‘there-and-then’ dopaminergic identity as opposed to the ‘must-have-here-and-now’ serotonergic identity. The dopamine drive is important to successfully manage a professional life. It makes us fast, visually capable and goal-oriented. But stepping over the limits of this system could result in paranoia, aggressiveness, addiction, obsession, an unstoppable drive and even insanity. A serotonergic identity kicks in when we are eating our food, caring for children or managing our immediate environment. But we go over the limit if we are anxious and cannot emotionally cope with a particular situation. Psychological flexibility is all about moving between the two as our environment demands. 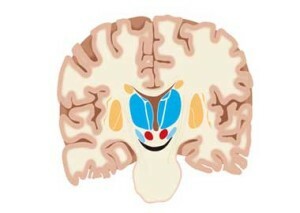 It is our dopaminergic neuro-anatomical development that teaches us to postpone rewards and make the right decisions. This means being able to wait until we are able to feast rather than grabbing a cake at the nearest available bakery. Or going to a shop to buy water rather than going to the pub for a beer because it is nearer. Because the problem then is that each time we are thirsty our brain will expect a beer and when we are hungry it will expect a cake! And then the trouble starts! Genetically we are programmed to live in a certain environment and that happens to be back in the Stone Age era! We need to eat the foods that we ate when we are hungry and drink water when we are thirsty. We may not be able to trick the brain when it comes to calories but we can certainly allow it the occasional treat once our needs have been met. This is an interesting one isn’t it? Our convenient, anything we want to eat or drink we can just buy, existence is wonderful but also our downfall. Our brains, in doing what they are meant to do, are in overdrive at all the smells and allure of junk food. It’s so easy to just give in and have that cake, that beer, that bag of crisps and let’s be honest, most of us do it. I know I do. However, information and knowledge are a powerful deterrent. When you know what’s going on in your body, why it’s behaving in a certain way and how it will adversely affect your health, it becomes a little harder to do it. Perhaps occasionally you’ll end up stopping yourself and start eating a little more healthily, a little more consciously. Knowledge is power and I know it has hugely influenced my life and the choices I have made. I really really don’t want to suffer from avoidable diseases as I grow older. However, I believe in treating myself and indulging on occasion. Actually occasions is more accurate. Recently I was consulting with Fleur and I admitted that I seem to have acquired an addiction to those All Natural Gummies. They may be all natural and not have colourings etc but they are full of sugar. I confessed to Fleur that I always end up eating the whole bag. Quite regularly. She looked at me and said “you have permission to eat a whole bag of gummies…once a week.” I can definitely live with that!